Four people were killed in a shooting at Fort Hood, the same US military base where an army major when on a deadly shooting spree in 2009. Among the dead is the assailant, reportedly a soldier who was being treated for mental health issues. Four people were killed in a shooting at Fort Hood, the same US military base where an army major when on a deadly shooting spree in 2009. Among the dead is the assailant, reportedly a soldier who was being treated for mental health issues. "There is no indication that this incident is related to terrorism," Lieutenant General Mark Milley told reporters, adding that 16 people were wounded in the incident at the base in Texas. The shooter took his own life, Milley added. A soldier told CNN he heard gun shots "and assumed they were blank rounds... We then heard a burst, another burst and it was clear they weren't blank rounds. They were live rounds." US President Barack Obama, who was in Chicago, said investigators would "get to the bottom of what happened”. "Obviously, this reopened the pain of what happened at Fort Hood five years ago," Obama said. "Many of the people there have been on multiple tours of Iraq and Afghanistan, they served with valour, they served with distinction. At their home base they need to feel safe." CBS News, citing unnamed sources, identified the shooter as a 34-year-old soldier. The shooting reportedly stemmed from a disagreement between soldiers, the network said. 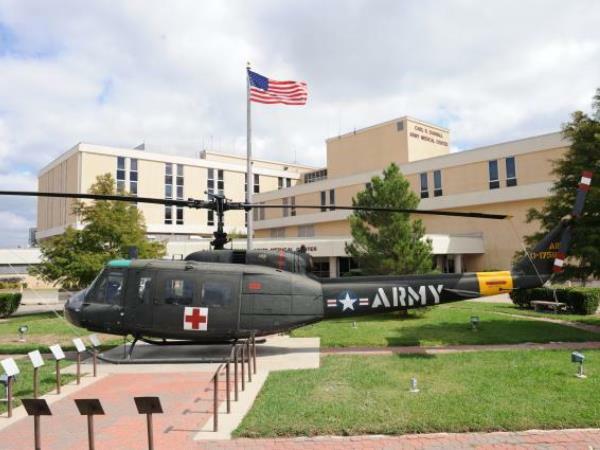 On 5 November 2009, Major Nidal Hasan opened fire at a medical facility in the sprawling base that serves as a staging point for soldiers to deploy to combat zones. Twelve of the 13 dead and 30 of the wounded were soldiers. Hasan was himself shot by a civilian police officer who responded to the attack and Hasan is now partially paralyzed. A military jury last August sentenced the US-born Muslim of Palestinian descent to death. The Pentagon said Defense Secretary Chuck Hagel would be kept up to date "as events unfold" at Fort Hood, said a spokesman. Fort Hood is the largest US military base with a population of 70,000 including 42,000 military personnel. Shooting at US military facilities are not uncommon. In September last year civilian contractor Aaron Alexis killed 12 people at the Washington Navy Yard with a sawed-off shotgun. Just last month a 35-year-old gunman shot and killed a sailor on board the USS Mahan, a guided-missile destroyer, at Naval Station Norfolk, America's largest naval base in Virginia.